Our MURDRD Mobile Shop has gone through a bit of a facelift during the winter season and is now represented a little lower and with a new paintjob etc. A new apparel line-up will also be available! More about those a little bit closer to the event. This year's BIG Meet is held familiarly at the Jämijärvi on 8th-10th of June. The easy going weekend's main day is Saturday but there will be some hanging out on the Friday too! Sunday we'll be leaving from Jämi around 1 pm. The main event Fitted is held for the third time in a row at the Lahti Harbour on 18th of August 3.00 pm - 9.00 pm. We'll collect around 100 best cars from Finland and from our neighbor countries for the Show -area. Meet -area will be fulfilled with around 200+ cars picked up from enthusiasts who arrive to the event with their rides. 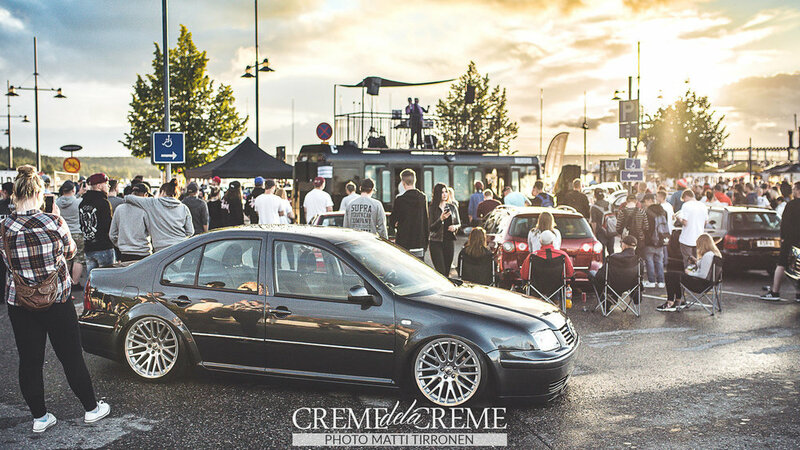 Our blog post of last summer's Fitted Fest. This might happen in Kauppakeskus Tuulonen but we're not going to lock anything yet and might surprise you with a new location. The whole CDLC.CO Crew welcomes you to join our events.